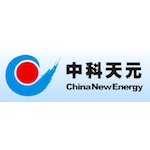 AIM-listed member of the ShareProphets AIM-China Filthy Forty, China New Energy (CNEL) has announced a £1.118 million (before expenses) convertible loan with an entity called Double River Limited of the BVI. With the shares previously at just 1.125p, the conversion price of 4.7p seems a little on the too-good-to-be-true side of things, and is conditional on China New gaining a listing on a stock market in Asia. What’s not to like?